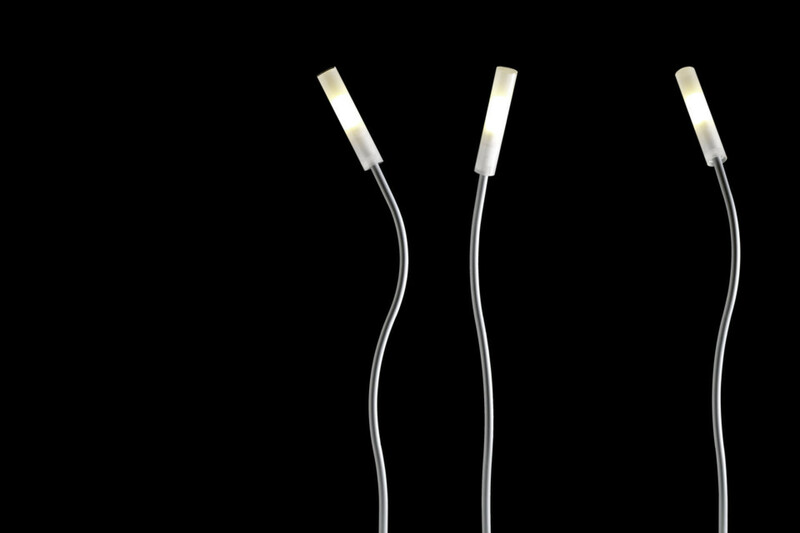 Slim, playful, organic, frivolous: all terms which can perfectly be applied to this new and stylish outdoor lighting system. 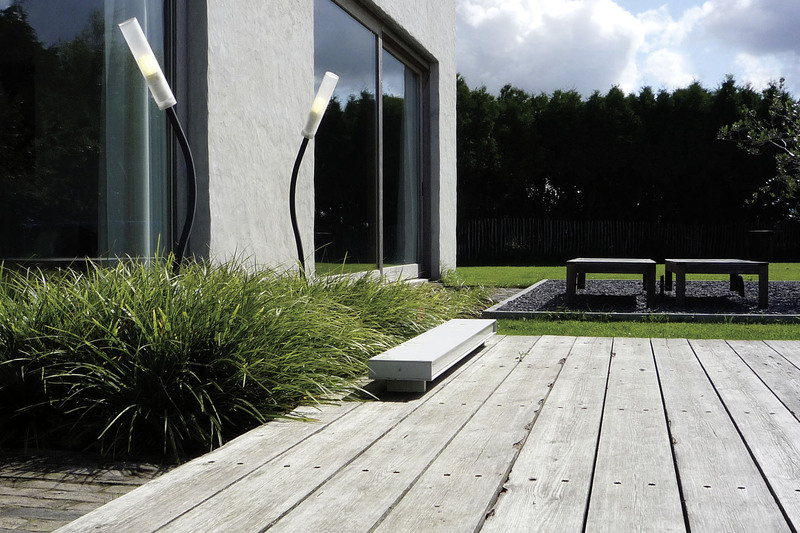 The elegantly curved form of the mounting bar looks as thought it might have been shaped by nature itself, whilst the wind whistles around the armature as though it was designed with only this in mind! The system is easy to integrate into shrub and plant borders, but is equally graceful sited at the edge of your lawn.